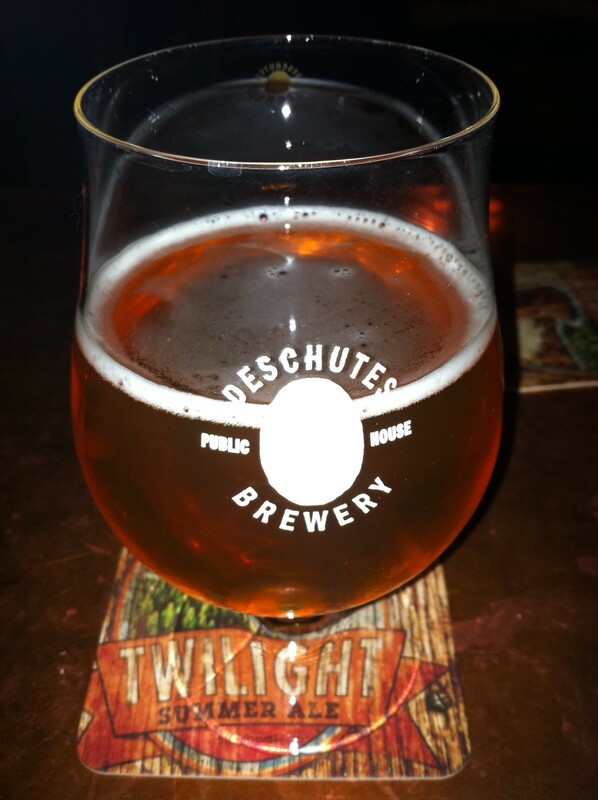 Light in color yet not in vigor – this beer is Central Oregon summertime warmer. This beer was brewed using 100 pounds of unrefined Mexican brown sugar-piloncillo. The light malt bill of Castle Pale and Vienna allows the sweet pillars to stand their ground. We used Centennials to provide the bitter backup and more Crystal hops on the back end then our kettle has ever seen. Aromas of tart fruit from our homegrown Belgian yeast adds another layer. Twin Pillars pours a delectable apricot color with orange highlights present when held to the light. There is practically no head present. At 8.6% ABV I wasn’t surprised to pick up alcohol in the nose, but it was bigger than I expected. Hints of juniper and nail polish remover are also detectable, with sweet fruits and Belgian candi sugar lying buried underneath. With that big alcoholic nose I was expecting the booze to come through right out of the gate, but that wasn’t the case. Alcohol was hardly present at all in the flavor, with sweet being the dominant taste. The Belgian sugars blend with the pale malts to give it an easy drinking accessibility. Tangerine and grapefruit are also present and also quite delicious. Mouthfeel is thin, but there is a definite heat that leaves a slight residue behind. Even though I didn’t pick it up visually there is a bit of carbonation that can be felt in each sip. I was surprised by Twin Pillars. It’s called a Strong Ale, but it has Vienna malts and ends up tasting more like a Belgian Tripel. WTF? Thankfully it’s tasty and easy drinking, and in the end that’s all that really matters.